I like coloring pages that have an autumn harvest cornucopia. This one has a simple harvest of apples, corn, eggplant, grapes, and a pumpkin. I like to use bright colors for the fruits and a brown for the cornucopia, but it could be a rainbow of colors, too. Have fun! 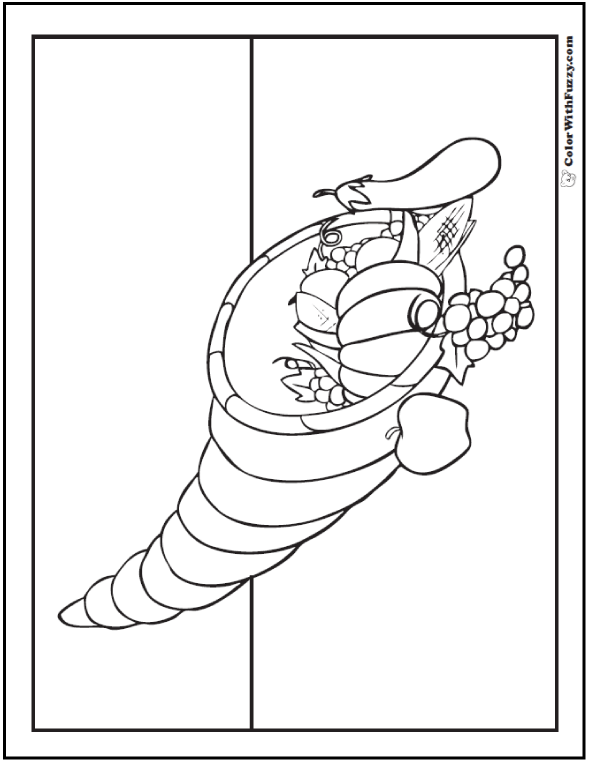 Click to print this cornucopia coloring page.